Illumination’s Dr. Seuss’ The Grinch is out now on Blu-Ray, DVD, and the extra 4K ULTRA HD and 3D Blu-Ray options. The third of Illumination’s Dr. Seuss adaptations, The Grinch follows the very familiar tale of the Christmas-despising, wrong-heart-and-shoe-sizing, grumpy old meanie who lives up on Mt. Crumpit, and attempts to ‘steal’ the Whos’ Christmas below down in Who-ville. In this take, the Grinch is more relatable and Cindy Lou’s side is more expanded. Despite solid animation and fun dialogue, the story itself ebbs and flows at odd intervals. The Grinch is an excellent Christmas movie and fun to watch for the inventor-ish shenanigans, but ultimately not as strong as Illumination’s first two forays into the Seussian universe. Of course, with Illumination, not even a totally unrelated film can get away without some dosage of minions. 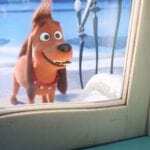 Of the three mini-movies – “Dog Days of Winter,” “Yellow is the New Black,” and “Santa’s Little Helpers” – only one is actually related to the Grinch. “Dog Days of Winter” features loyal pup Max on a quest to get sickly Grinch more tea, despite an oddly rude and uncooperative Who. The other two mini-movies feature the minions, one during a prison break at some point during Despicable Me 3 and the other with minions attempting to become elves after having been dropped off at the North Pole. Though one of many who find the minions’ omnipresence rather tedious, I was pleasantly amused by these little shorts. 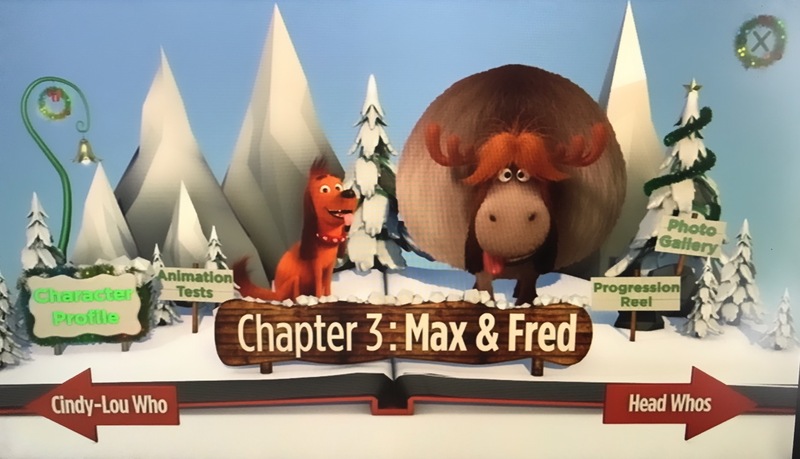 They weren’t as fun or cute as the Max short, but they were worth the time to watch. There is also a funky little mini-menufeature called “Who’s Who in Who-ville,” which is an interactive map of Who-ville, an animated pop-up book, so to speak. Each page features a different character introducing themselves – Grinch, Cindy-Lou, Max & Fred, ‘Head Whos,’ and Cindy-Lou’s Crew – and has a few artistic levels. First, you can see the character profiles, then you have walk cycles and animation tests. Finally, each character set gets a small photo gallery. The behind-the-scenes featurettes cover everything from making the mini-movies to Grinch’s gadgets to Christmas around the globe to a special celebration of the production babies. There’s all sorts of wonderful eye candy – concept art, progression reels, mechanical engineering – plus lots of cast & crew interviews. The main gems are “Illuminating the Grinch,” how the characters went from sketch to fully realized; “Grinchy Gadgets,” exploring all the inventions and mechanics of the Grinch; and “Any Who Can Draw,” featuring Mark O’Hare, head of story, teaching us how to draw some of our favorites: Grinch, Max, and Fred. Overall, the Blu-Ray/DVD release for Dr. Seuss’ The Grinch is solid and has all the basic features an animated film’s disc release should have. 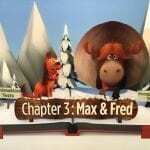 The extras – mini-movies, animated pop-up, yule log, drawing, and “X-mas Around the World” – serve to enhance the package with tons of holiday spirit. 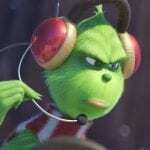 The film is not quite the amazing Christmas classic Illumination was aiming for, but the disc release packs so much festive punch that it’s clear to see how much the cast & crew loved making this new take on green grumpy Grinch.